Modular homes are not the same as stick built homes. 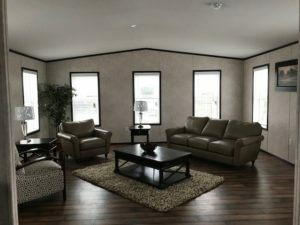 Modular homes are built indoors, away from all inclement weather conditions. This means we don't have to stop building your home when there is heavy rain or snow. Our homes are built to code and transported in pieces to the destination. Gary and Simon, two of our owners at Pleasant Homes have been in the modular home business over 30 years. They are truly passionate about the business they are in, and they are here to help you find your dream home! 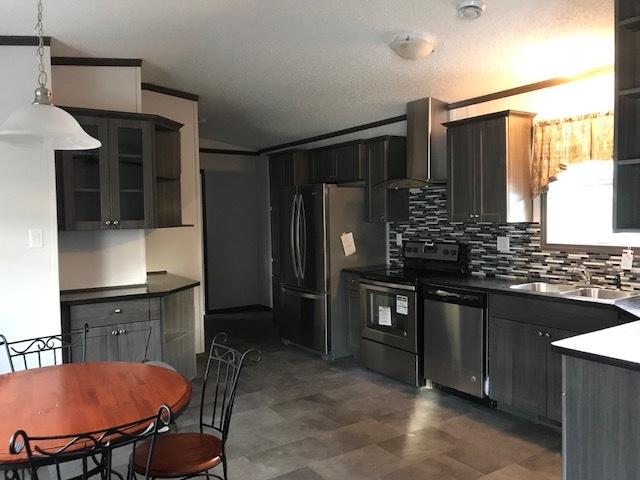 We have 5 show homes on our lot, but the options don't stop there. You can customize an entire home from floors and cupboards to walls and siding. At our office, we have samples of all the options we offer, so you can really see what you are going to be putting into your home. BRR! Finding it a little colder than usual outside? Warm up by your new fire place. We can install fireplaces into the home, so you can always have a cozy area to warm up in with your family and friends. What about stoves? We offer all kinds of stove options, even wood burning. We really can accommodate everyone who is looking for a home. We are happy to discuss any and all your options - and make your biggest dreams come true. Give us a call today; you'd be surprised just how many options you will have when you build with us. Our knowledgeable sales team will be happy to help you build your dream from the ground up. Filed Under: What's New at Pleasant Homes?